MMS can be used in so many different ways. several options how to benefit from it. You can add the activated drops to water and brush your teeth with it. You can add the activated drops to water and spray it on your skin. You can add activated drops to your bath water for baths. 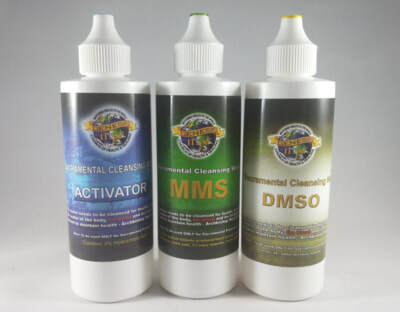 You can add DMSO to activated drops and rub on your skin, rub on your tumors etc. You can add activated drops to distilled water and use as in douches. You can add activated drops to distilled water and use in enemas. You can add activated drops to water and use to wash your hair. You can add activated drops to water for foot baths. You can add activated drops to water for Colonics. 1000 Plus, 2000, 3000 or Protocol 4000. This procedure will assure you greater success as there have been people who without it have experienced nausea, vomiting, diarrhea or excessive tiredness sometimes within the first week or so of starting Protocol 1000. Many give up right then instead of persisting. You can’t blame them; they’ve heard how great MMS is and then it makes them feel bad, so they give up. ​This is because they started taking too much MMS1 too quickly to begin their protocol. Please believe me when I say that this Starting Procedure is extremely important to you for your health recovery. It can help you avoid unnecessary sickness as it helps your body gradually become accustomed to MMS. The Starting Procedure consists of taking MMS1 in very low doses to start out and working up slowly to a 1-drop dose over a period of four days. (There is an exception to this rule, see variation on page 82.) MMS1 goes to work on killing the disease, but if you go too fast, the poisons from dead pathogens (any disease producing agent) builds up in the body faster than the body can get rid of them. These poisons mainly can cause nausea, vomiting, or diarrhea, and sometimes other distress, such as extreme tiredness, can also be experienced. This is called a Herxheimer reaction as explained in the definition of 79 80 MMS Health Recovery Guidebook terms on page 6. Hopefully, going through the Starting Procedure can help one avoid or minimize a Herxheimer reaction. The first day of the Starting Procedure take 1/4 drop of activated MMS every hour for eight hours. Since you cannot divide a drop into fourths, the following steps explain how you make the dose. Remember, use an empty, clean, dry, drinking glass. Since all MMS1 doses are taken in 1/2 cup of water, it is helpful to mark your glass at the 1/2 cup (4 ounces/120 ml) point, or use a glass with this measurement. Activate 1 drop of MMS as per instructions in Mixing a Basic Dose of MMS1 (page 32). Fill the glass to the 1/2 cup (4 ounces/120 ml) mark with water. Make sure the drops are mixed into the water. Note: Some juices and sodas are acceptable; see pages 42-45. Pour off 1/4 or 1 ounce/30 ml of this water mixture into another glass and drink it. Note: Before you drink this 1 ounce/30 ml you can add a little additional water—an ounce or two at most—if you want to dilute the taste before you drink it. Discard the extra 3 ounces/90 ml. You won’t be using them. You must make up a new drink each hour; otherwise the dose will lose its potency. Each MMS1 dose should be made up fresh—mix your drops and count to 30 seconds then add water and drink it down. One should be sure to never wait more than 60 seconds before drinking. On the second and third day of the Starting Procedure take 1/2 drop of MMS1 every hour for eight hours a day. Follow steps 1 and 2 (from day one above) each hour, but this time pour off 1/2 of the mixture (this will be 2 ounces/60 ml) and drink, and discard the other half. This gives you 1/2 drop. On the fourth day of the Starting Procedure take 3/4 drop of MMS1 every hour for eight hours. Follow steps 1 and 2 (from day one above). In this case it would be easiest to discard 1 ounce/30 ml of liquid and drink the remaining 3 ounces/90 ml of liquid. In other words you are drinking 3/4 of the 1/2 cup (or 4 ounces/120 ml) mixture that you made in steps 1 and 2 and this then gives you 3/4 of a drop dose. At the end of day four you have completed the Starting Procedure to Protocol 1000. The next day (day five), you should begin Protocol 1000 as per the instructions on page 84. In the case of a very sick person, start out the Starting Procedure with even less than the 1/4-drop dose which is suggested above. For an extremely sick person start with 1/8 drop every hour for eight hours (for one day), then do the Starting Procedure, followed by Protocol 1000. For those of you who are familiar with MMS1 and have used it before, if you feel you would like to get through the Starting Procedure more quickly; this variation simply cuts the time in half. We do not, however, recommend this fast track method if it has been longer than approximately eight months since you have taken MMS. Take a 1/4-drop dose for four hours instead of eight hours. q At the end of four hours, increase to a 1/2-drop dose for the remaining four hours of day one. Take a 1/2-drop dose for four hours. Increase the dose to a 3/4-drop dose for the remaining four hours of day two. Start on Protocol 1000, beginning with a 1-drop dose. Follow the Protocol 1000 instructions. 1. If it ain’t broke, don’t fix it! As long as you are getting better, don’t change what you are doing—keep at it since it is obviously working. 2. Your body knows best…You just have to learn to listen to it! Anytime you are experiencing nausea, diarrhea, vomiting, or excessive tiredness, and/or are feeling worse than your illness is already making you, reduce your MMS intake by half and then when the sickness subsides, build back up slowly. Continuing to increase your dosage when you are feeling sicker is a common mistake. Don't let it happen to you! More is not always better. Listen to your body! 3. If you are in a rut, it’s time for a change! ​Have you come to a stalemate? If a five to six day period passes and you do not see any signs of improvement, and you’ve checked to see you are not doing anything wrong, (see Reality Check, Chapter 8), go on to the next level. Depending on where you are, add another drop to your dose, do the next increase, or go to the next protocol and/or add in a Supporting Protocol as listed in the HRP. Anytime you move forward, do not stop doing what you have already been doing. Add on, but do not take away. 1 Getting better? Do not change anything. Continue with what you are doing. Reduce your MMS intake by 50%. 3 Not getting better/not getting worse? If there are no signs of improvement, do the next increase or go to the next protocol according to the HRP. DISCLAIMER: Let it be known that you consent and assume any and all responsibility in the consumption of any product you purchase as a result of your visiting this website or watching these videos. Furthermore, you accept any and all possible damage, loss or injury felt to be experienced as a result from one's exposure to any content, product or information discussed within these videos and the contend on these web pages. ​Remember, always consult with your medical practitioner or health care professional when dealing with any severe medical condition. All we provide here is INFORMATION. Use it how you wish knowing that you are responsible for your own actions. This information has not been approved nor endorsed by the Food and Drug Administration.